For transportation agencies, the future of mobility offers the promise of fixing a range of challenges, from congestion and inequitable access to public safety and sustainability. But creating and maintaining a new mobility ecosystem will require rethinking traditional ways of doing business. Most of what we hear about self-driving cars, ridesharing, and other mobility trends focuses on corporate initiatives—after all, they’re the ones designing the vehicles and launching the apps. But the public sector has a major role to play in making the new mobility ecosystem work for everyone. In urban areas, shared autonomous vehicles could be integrated with other types of transit, creating a mobility ecosystem that offers customers a myriad of choices to seamlessly travel across multiple modes on demand, as well as the possibility of moving more people and goods in a way that is faster, cheaper, safer, and more convenient than today.3 These changes come even as many governments grapple with growing congestion, rising populations, urbanization, and aging transportation infrastructure. Now, more than perhaps any time in recent memory, public officials have the opportunity to ameliorate many of the vexing transportation challenges they face, from congestion and public safety to sustainability. By partnering with the private sector and re-examining traditional ways of doing business, governments can help create a transportation system that better serves all citizens. At the same time, agencies must be prepared to manage and regulate mobility-related disruption. Digital innovation has enabled the rapid entry of many new transport operators into the market, catching some agencies unprepared for the disruption. Consider the emergence of ridesharing: Existing regulation of the taxi and hired-car market often didn’t account for or apply to these new entrants, and transit operators were slow to grasp the impact on existing services. Ridesharing in New York City, for example, has worsened traffic congestion, increased vehicle emissions, cannibalized public transport, and left licensed cab drivers desperate.4 These services do, though, provide convenient access for riders, including many who have long been underserved. How should governments respond to these shifts? Public sector leaders at all levels—national, regional, and local—are figuring out how to navigate the future of mobility. Importantly, it’s not just a matter of reacting quickly to unfolding events. Finding a way forward involves first understanding where you are starting from—and having a clear vision of where you want to end up. While governments should embrace and test new mobility initiatives, it is more critical than ever that they define the role(s) they will play and help to shape the future of mobility in ways that achieve broader transport system goals. To aid that process, our Future of Mobility Maturity Curve for Government identifies the various stages through which governments might progress, from merely gaining awareness of broader shifts in mobility to fully incorporating those new technologies and operating models into their policymaking and decision-making. The emerging mobility ecosystem brings with it complex public policy implications, often placing traditional mechanisms for government decision-making at odds with the disruptive landscape that policymakers must look to shape. Emerging mobility trends exacerbate a number of core challenges facing governments, from constrained funding and widening infrastructure deficits to increasing uncertainty across the planning horizon—all in the face of citizens’ shifting expectations and massive infrastructure spending deficits. Government’s balancing act when it comes to transportation has rarely been more challenging. Some transportation agencies are placing renewed emphasis on new approaches to their local mobility ecosystems, though so far these are largely exploratory efforts. Truly realizing the systemwide benefits of the future of mobility requires a fundamental shift in mindset. Agencies that fully embrace their role in the future of mobility will embed data-driven analysis, agile approaches to problem-solving,5 and customer-centricity into all of their decision-making processes in a way that helps them to solve traditional and new challenges efficiently and with a focus on outcomes. We see these foundational building blocks—data-centricity, agility, and customer focus—as crucial for enabling transportation agencies to embrace the coming disruption while allowing them to maintain a level of influence over key decisions. To help governments understand where they are today, where they might be headed, and how to get there, we have developed a Future of Mobility Maturity Curve for Government (see figure 1). The maturity curve allows leaders to assess how prepared they are for the new mobility ecosystem and the extent to which their decision-making processes (including supporting capabilities) reflect changing requirements. The curve ranges from Aware (stage 1) to Embedded (stage 5). Aware describes an organization at the start of its future-of-mobility journey: no dedicated capabilities, resources, or strategy and metrics to help shape how it wants to respond. At the other end of the curve, an embedded organization places the opportunities and challenges of the future mobility ecosystem at the heart of policy and strategy. Executives make decisions with mobility as a central consideration; the agency’s desired role or roles shape its culture, organizational design, and governance; and interactions with stakeholders are agile, user-centered, and responsive. Moving up the Future of Mobility Maturity Curve is critical for government organizations looking to make relevant and timely decisions and create meaningful impact in the face of the disruption in transportation. Doing so involves change on two fronts: external policy and internal operations. First, transportation agencies will need to undertake new activities to help shape the mobility landscape. That can mean crafting new regulation, working with private sector partners, or adopting leading-edge technologies (such as an integrated digital mobility platform6) to provide a better experience for transit users, providers, and the broader community. But external policy shifts won’t be enough. In many cases, successfully executing those policies will require new approaches to internal operations, including new ways of doing business—and a new mindset. Organizational and cultural transformation can be just as important as defining new rules for self-driving cars, rolling out a new road-charging scheme, or implementing a systemwide digital transportation platform. Moving along the Future of Mobility Maturity curve could yield significant benefits for government, with a more integrated, transparent, and efficient transportation system that enables economic growth and equitable access.7 But the path to get there, going from awareness to embeddedness, will look different for every agency and vary based on its mandate. Given the rapid shifts in the developing mobility ecosystem, now is an opportune time for agencies to rethink these four roles—and to shift focus and invest in new capabilities as appropriate. Government might participate in all four roles.8 These four roles cover a spectrum of market participation, ranging from setting strategic policy direction (strategist) to directly delivering mobility services (operator). Between these bookends, the government can actively enable or nudge other players’ behavior (convener and catalyst) or intervene where there is market failure or risk of adverse community impacts (regulator). Not all governments or agencies will play every role, or every role equally. These roles are by no means new to government. What is new is the pace of change in transportation, demanding fresh thinking and new approaches within these four roles. These principles may provide some aspiration for government strategists looking to set some “north star” principles to help guide their organizations. One of the biggest shifts for strategists is the shortening of planning horizons. In the past, long-term infrastructure planning might have a 20–30-year horizon that would extrapolate future travel needs from existing behavior patterns. This traditional approach lacks the agility to consider the ways in which society could respond to any number of mobility disruptions likely to be introduced in the coming years. In the face of this rapid change, shorter planning horizons will become increasingly useful for supporting the longer-term realization of transport system goals. Funding is another area in which strategists must consider new approaches. With public funds constrained, strategists should be open to innovative financial arrangements and the robust, evidence-based assessment of projects and initiatives to ensure that spending is focused where there is greatest need.10 Programmed investment should consider both infrastructure and noninfrastructure solutions, and technology to optimize transport system performance should be integrated into investment frameworks so that a full range of options can be compared and evaluated. The strategist must anticipate how changes to the mobility ecosystem might shift revenue sources. Electric vehicles may mean lower fuel tax receipts; reduced reliance on traditional public transit could mean less money in fareboxes and parking meters; reduced car ownership (and therefore registrations) could dry up revenue from excise taxes and registration fees. On the other hand, some mobility innovations might create opportunities for new revenue streams. Strategists should be prepared to explore these options, such as vehicle telematics enabling dynamic road user charging, or leveraging integrated transport system data via big data platforms and APIs. Personalize customer interactions. Develop and connect real-time digital information, navigation, payment, and customer interfaces so they are simpler to understand and easier to use and can give personalized service relevant to individual needs and preferences. Transform mass transit networks. Increase automation and apply new technologies to mass transit networks to improve efficiency, deliver more frequent service, and reduce travel times, increasing their services’ attractiveness to customers. Foster shared demand-responsive services. Stimulate the development of new technology-enabled service offerings to provide more and more flexible mobility options that match customers’ particular needs. Enable connected and automated vehicle platforms. Pursue national standards for the road infrastructure, systems, safety, and regulatory frameworks needed to adopt greater levels of vehicle automation, and identify how best to deliver the community benefits that autonomous vehicles could bring. Create intelligent transport networks managed with data. Invest in smart infrastructure and collect and use the data generated to enable increasingly efficient, flexible, and dynamic service delivery with improved safety, availability, reliability, and responsiveness. NSW has also developed a supporting Future Transport Technology Roadmap that outlines the top-priority technology-focused initiatives and themes linked to each of the aforementioned strategies, both today and into the future. To turn strategy into action, Transport for NSW has established an innovation center to incubate new transport concepts from the private sector and broader community.11 The Technology Roadmap provides the overarching framework and focus areas for new investment, and the innovation center is actively driving the strategy to fruition. Traditionally, governments have focused on bringing stakeholders together to discuss transport system challenges and opportunities, review strategies, and provide feedback on regulation. This convening function remains important, but given the many potential benefits from getting the future of mobility “right”—and the risks of getting it “wrong”—governments should consider taking a more active and assertive role to truly catalyze the emergence of the new ecosystem. That means approaching the problem as an integrated, cohesive whole, not via a series of one-off, incremental effort. It means partnering with service providers and consumers to help shape the future transport system from day one, as opposed to during the final stages of initiative development. That could even mean playing the important role of a digital platform provider (see sidebar, “A catalyst in action”). The catalyst role can also manifest in investment procedures and choices, by stimulating market-led proposals through amended procurement frameworks, which in turn bring new and out-of-the-box thinking to what has traditionally been a relatively insular process. Cascais, located within the Lisbon metropolitan area of Portugal, boasts of a gorgeous coastline that attracts more than 1.2 million tourists every year. With a population of around 200,000, the city’s aspirations go far beyond being another tourist destination. Cascais has made it its mission to “test innovative solutions capable of being scaled.”12 Over the past few years, the city has implemented a large portfolio of technology-based improvements, ranging from energy-efficient buildings to remote parking payments. The city has made significant strides, particularly around mobility.13 MobiCascais, its mobility-as-a-service solution, launched in 2016 and integrated different public and private players into a single collaborative ecosystem. MobiCascais allows users to reserve, manage, and pay for every mobility-connected city service by paying a daily, weekly, monthly, or even annual fee. Services such as bikesharing, motosharing, smart parking, taxi rides, transport on request, and carpooling—along with electric vehicle infrastructure, and information on transport (bus and train) routes and stations—can be accessed through a single card to which users can connect through an app and a web portal. The service is expected to save citizens between 10 to 27 percent of their mobility costs. MobiCascais is based on the mobi.me system, a solution for smart urban mobility management developed by the Portuguese Center for Excellence and Innovation in the Automobile Industry and already in place in several cities around the globe. The system is an integrated platform that manages real-time information regarding all multimodal transportation systems, also allowing urban logistics and traffic management. By mid-2017, MobiCascais accounted for 2,000 shared bicycles, 70 kilometers of bicycle paths, 300 parking kiosks, and 1,280 car parking spaces and is expected to evolve soon to shared cars, taxis, and ride-hailing services. Governments have traditionally approached road safety policy with regulation codified through legislation or binding rulemaking. Vehicle performance is often controlled through premarket vehicle design standards and aftermarket roadworthiness checks. Similarly, drivers are subject to licensing laws and road rules governing vehicle operation. It is a largely prescriptive approach to road safety regulation, with rules tweaked over time to accommodate incremental changes in vehicle performance. But how can these relatively static regulations respond to fundamentally new ways of operating a vehicle? Why does a vehicle need to have a steering wheel and rearview mirrors if it is fully autonomous? If the occupant no longer needs to be in control of the vehicle, why does she need to have a driver’s license or be seated in the traditional driver position, with at least one hand on the wheel? In the future mobility ecosystem, agencies will need a more agile and outcomes-based response so as to not stifle innovation while also balancing risk and public interest. This will involve test-and-learn opportunities (for example, exemptions for trials of autonomous vehicles) as well as extensive and open industry engagement and consultation, recognizing that innovations play out on a global stage (see sidebar “A regulator in action”). The approach emphasizes open consultation and flexible, outcomes-based regulation. Critically, further simplifying the regulatory landscape, autonomous vehicle testing falls under a single oversight agency, the Land Transport Authority, avoiding the patchwork of national, regional, and local rules that have emerged in other countries. The authority has actively partnered with research institutions and the private sector to facilitate pilots of autonomous cars and buses.15 Organizations in other countries may be unable to directly replicate Singapore’s model, but they would do well to emulate some of its characteristics—perhaps most important, the harmonization of regulatory authority such that rule-makers speak to the market with one, unified voice. Agencies should also be exploring ways to integrate public and private transport services, with a focus on optimizing communities’ overall mobility. This will mean embracing the point-to-point market to service lower-density, low-demand areas or to provide additional supply when the public transport system is overcrowded. Government resources may be reallocated to high-volume corridors and away from, for example, low-density bus services (see sidebar, “Operators in action”). Government operation of transit fills a critical gap, often providing services that are uneconomical for private sector providers. That role will likely continue in the future of mobility—indeed, it may grow even more important to ensure widespread and equitable access to transportation. That said, government-as-operator can still benefit from partnering with and learning from the private sector. Depending on the outcomes of these trials, we could see more on-demand transport models replacing traditional timetabled public transport services to provide better customer outcomes at a lower cost to governments. Across all four roles, many of government’s traditional approaches may be ill-suited to the emerging mobility ecosystem. Moving along the maturity curve and achieving maximum impact in the future of mobility means that new attributes need to be adopted. We believe there are a number of key capabilities that underpin these roles. Shoring up these skills will assist government leaders as they look to incorporate the new mobility ecosystem into both existing decision-making processes and any new approaches they develop over the coming years. Figure 2 summarizes the shift from old to new—and the abilities that public sector transportation organizations will need to build along the way. Thankfully, in most cases, agencies won’t be starting from scratch—the supporting capabilities for each mobility role leverage existing transit agency functions. And by augmenting existing capabilities and processes to reflect new roles, the transition is likely to be less disruptive to day-to-day business and will help to bring staff along on the journey. Nonetheless, in organizations that have (or will have) a role in the new mobility ecosystem, active leadership and sponsorship of the capability evolution are just as important as the mix of capabilities themselves. Public sector leaders are rapidly coming face to face with difficult decisions about how they will respond to the future of mobility. For transport organizations in particular, becoming mobility-savvy is crucial for making evidence-based decisions, developing more efficient and fit-for-purpose regulation, and fostering a culture that can not only respond to but lead transformational change. Market forces are moving rapidly, and transport leaders have a narrowing window of opportunity to shape the future mobility ecosystem before facts on the ground make governance more difficult. So what could agencies be doing today, before the arrival of these disruptive technologies and business models, to create an environment supportive for change, while ensuring the best chance of delivering a sustainable, safe, reliable, and efficient transport system for tomorrow? Government is often quick to address disruption at the point of impact, mostly driven out of the need to placate those whose livelihoods are affected. This is far too late in the game: Getting on the front foot starts now, and rather than focusing squarely on the disruptor itself, we believe it is equally (if not more) critical to consider the critical elements required to ensure these innovations can exist in a mobility ecosystem that can continue to deliver on higher-order transport system goals. Define the possible future scenarios you are facing. Given the level of uncertainty, scenario planning can be used to explore the potential futures that may manifest in a given region and influence what the local (or national and global) mobility ecosystem may look like. Scenario planning allows agencies to develop strategies for the innovations most likely to affect local transport systems and identify “what would need to be true” to support these innovations and simultaneously deliver on the broader system goals. Establish what role(s) you want and need to play to create maximum impact. In light of these possible futures, each agency should define its preferred role(s) in the emerging mobility ecosystem. This can provide a strong vision against which to test existing policy, planning, investment, and regulation initiatives. Assess your current capabilities and identify “weak spots.” Many organizations—including governments—often consider their capabilities through the traditional lenses of finance, human resources, and/or information technology. The future of mobility cuts across all these areas and more, rendering traditional operating models less relevant for understanding how well-placed agencies are to respond to mobility disruptions. Governments should instead begin to use the capabilities aligned with their preferred role(s) as the basis for any current state assessment. These are often dispersed across teams or functions within an organization and can be difficult to capture, but bringing them together is a crucial step—for example, future regulators may have customer-experience designers and technologists sitting within a single function. Embrace agile, customer-centric, and data-driven approaches. Embedding the future of mobility in an organization’s thinking is as much about taking government workers on the journey as it is about developing strategies, crafting regulation, or deploying technology. That can mean rethinking existing approaches to evaluating projects to include shorter time horizons and less prescriptive processes. It can also mean expanding the set of stakeholders that are engaged throughout. One way to demonstrate the value of embracing disruption in the mobility ecosystem is to undertake proofs of concept projects that can win hearts and minds by demonstrating the value of agile, customer-centric, and data-driven ways of working. These efforts have the added benefit of allowing agencies to test and learn. Mature your capabilities in line with new role(s). Moving up the Future of Mobility Maturity Curve and into a preferred role can’t be achieved through pilots alone; public sector leaders must also embark on a transformation program that focuses on incrementally developing and pivoting capabilities to a new model focused on the emerging mobility ecosystem. 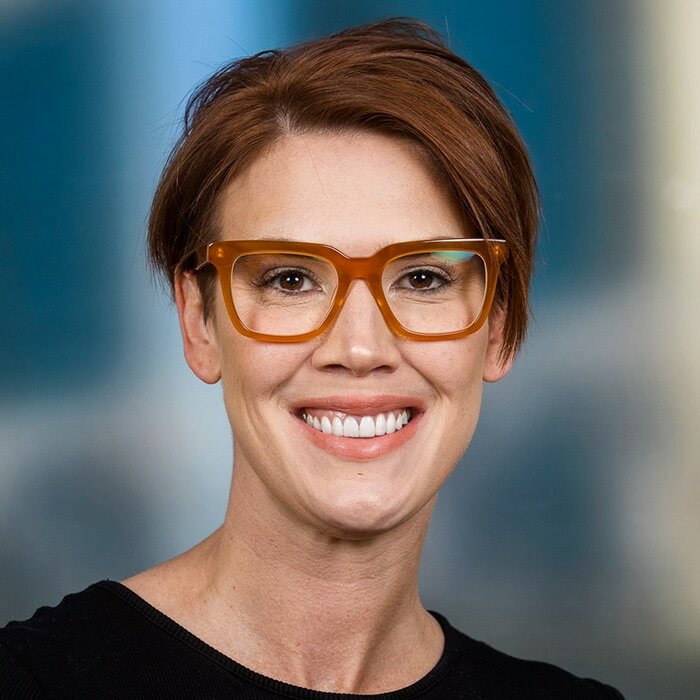 Dr. Kellie Nuttall is a partner with Deloitte Consulting Pty Ltd and the Future of Mobility lead in Australia. She is based in Brisbane, Australia. 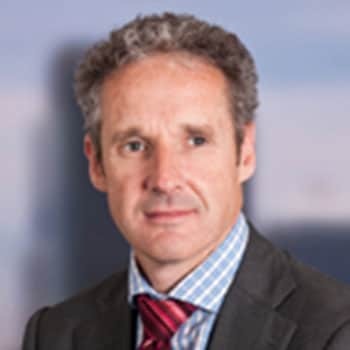 Tim Arbuckle is a partner with Deloitte Financial Advisory Pty Ltd and the transport and Future of Mobility lead in New Zealand. He is based in Melbourne, Australia. 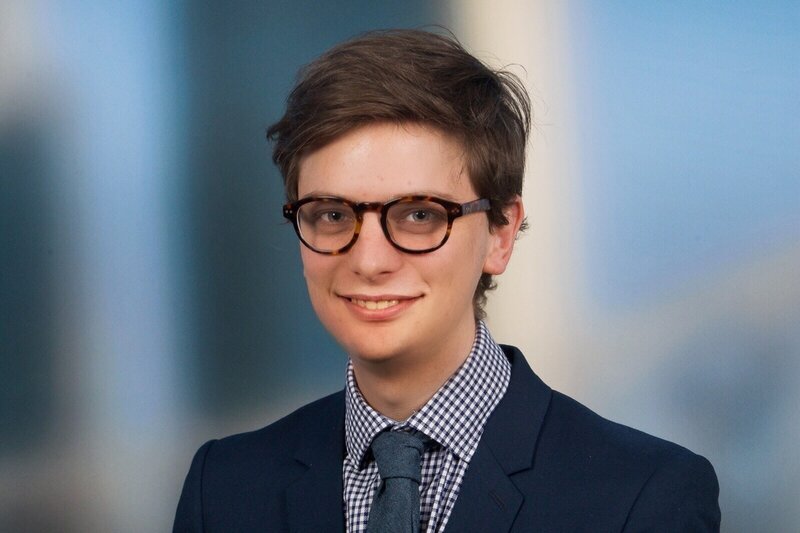 Leighton Haworth is a manager in Deloitte Consulting Pty Ltd’s performance analytics practice with over seven years’ experience in transport sector performance management and analytics. He is based in Brisbane, Australia. 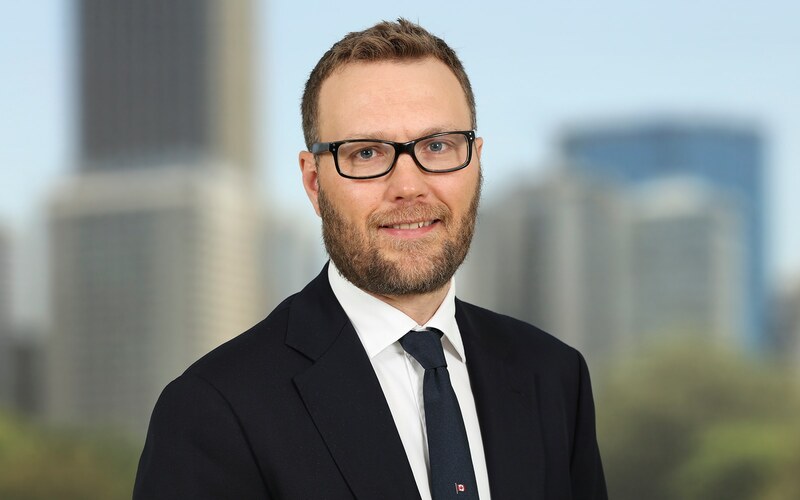 Mark Siddall is a principal with Deloitte Services Pty Ltd with over 20 years’ experience working across IT strategy, strategic sourcing, portfolio planning, enterprise architecture, and IT commercial/financial management. He is based in Sydney, Australia. 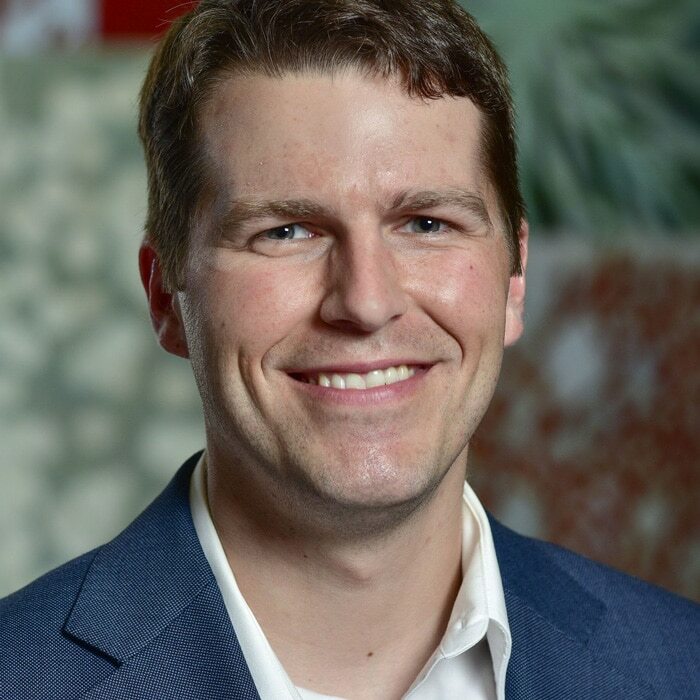 Derek M. Pankratz is a research manager with the Center for Integrated Research in Deloitte Services LP. He is located in Milwaukee, Wisconsin. The authors would like to thank William Eggers and John O’Leary of Deloitte’s Center for Government Insights and Scott Corwin, Ellen Derrick, Simon Dixon, and Liesbet Spanjaard for their valued input into this paper, along with the many clients in both the public and private sector who helped inform the perspectives offered here. Carmen Roche and Matthew Budman provided crucial support in seeing the article through to publication. Harnessing the future of mobility has been added to your bookmarks. Harnessing the future of mobility has been removed from your bookmarks.